States are now the driving force to deliver land-based climate solutions in the U.S., where natural and working lands capture and safely store 14 percent of our carbon emissions. As such, delegates from the U.S. Climate Alliance (USCA) states convened in Washington, D.C., in July 2018 to discuss and collaborate on developing forest-climate solutions as part of their overall climate change efforts. 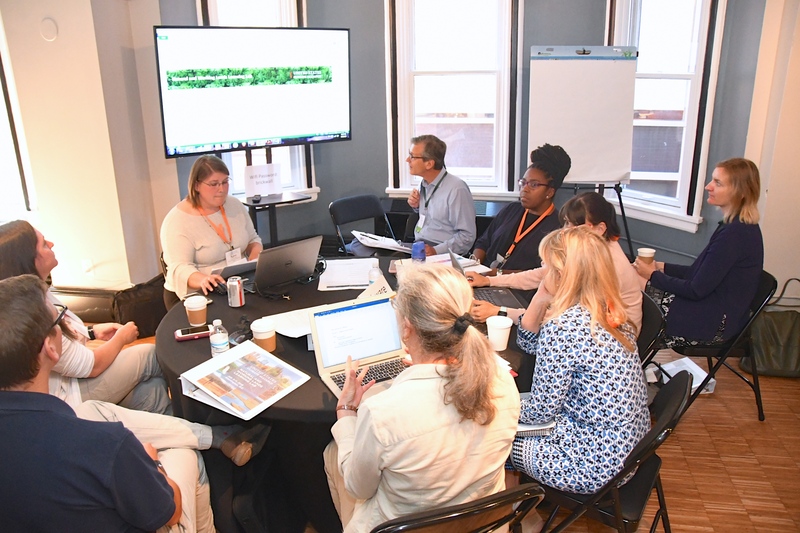 Dubbed the Learning Lab, the highly successful, rigorous three-day event engaged leadership delegations from each USCA state with the nationâ€™s top experts in carbon sequestration in forests and other land-based climate mitigation strategies. The Learning Lab marks the beginning of a unique collaboration that will enable states to more effectively deliver natural climate solutions through forests and other lands, leveraging the expertise and resources of Americaâ€™s leading nonprofit and science organizations. The Learning Lab was designed by FCWG member American Forests with assistance from the U.S. Forest Service Northern Institute of Applied Climate Science and Michigan State University. The technical staff for the event included members of the Forest-Climate Working Group, as well as science and policy leaders from The Nature Conservancy, World Resources Institute, American Farmland Trust, and Coalition on Agricultural Greenhouse Gases.